Salt Creek Beach is part of the Salt Creek State Beach Park, which features 7 acres of grass hills, beach volleyball, a seasonal snack bar, and beach volleyball courts. The beach has a legondary surf break that his home to several professional and amature contests throughout the year. 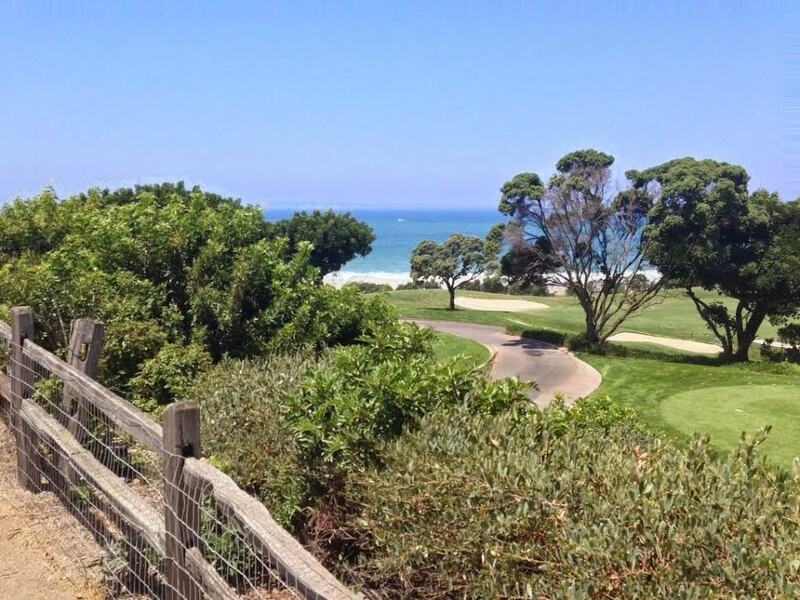 Salt Creek is located a stone’s throw from the Ritz Cartlon of Laguna Niguel. 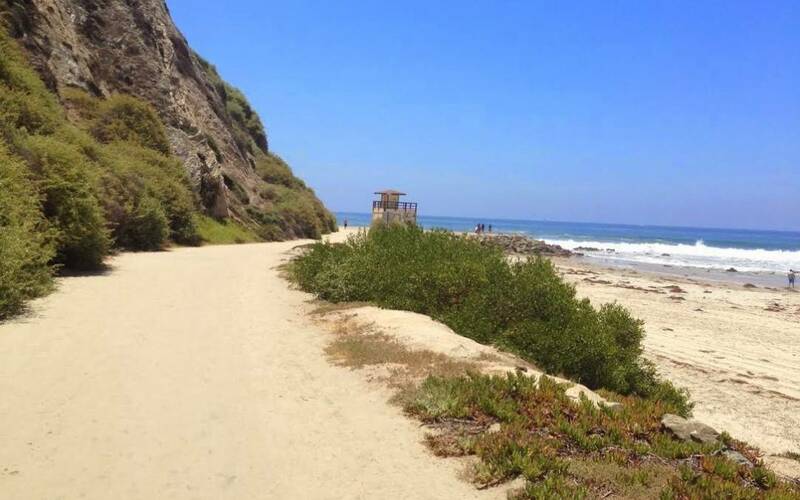 Although the beach is now technically in Dana Point, the hiking trail starts in Laguna Niguel and reaches the beaches of Dana Point. If you are searching for a fun way to hit the beach during the summer months and also get a work out in, this hike is for you! Length: 3 – 4 miles (out and back). 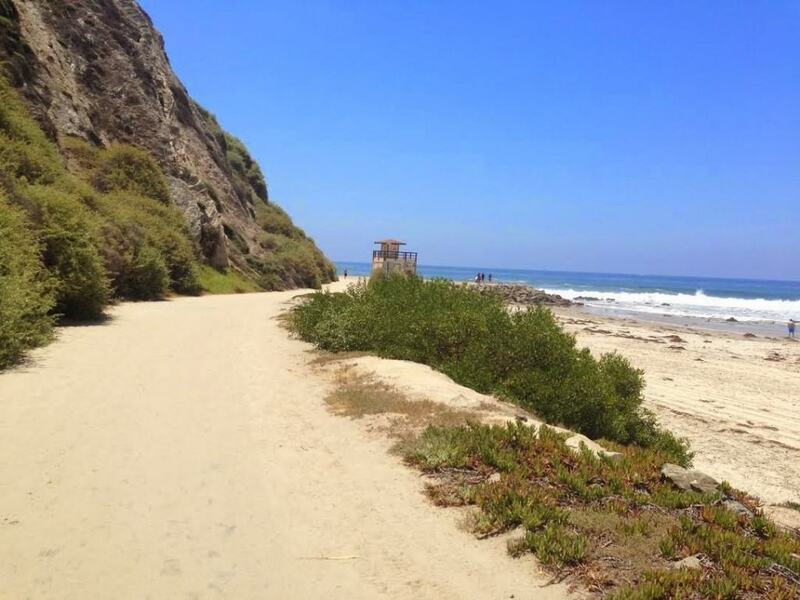 The Salt Creek Hike is a great work-out and fun way to visit the beach! The first section of the trail descends to the beach, which makes the uphill hike back to to the trail head challenging. Although a large section of the trail is paved, there are dirt sections that run parallel to the pavement to help create a pure dirt trail hiking experience. The views are Salt Creek are breathtaking! 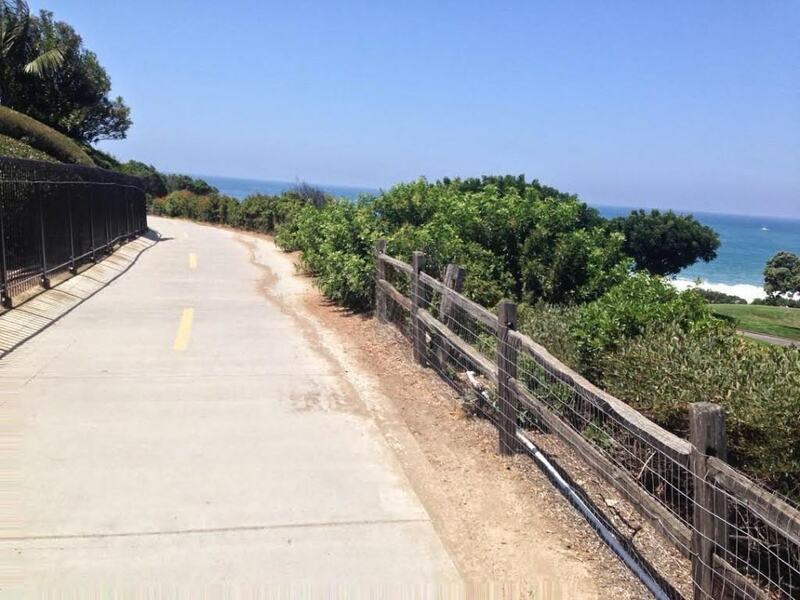 If you want to add to your hiking distance, connect to the Dana Point Strands Beach Hike. Turn left onto Golden Lantern St.
Where to Park: There is free street parking near the trail entrance on Camino Del Avion. Follow the posted street signs that designate where to park. 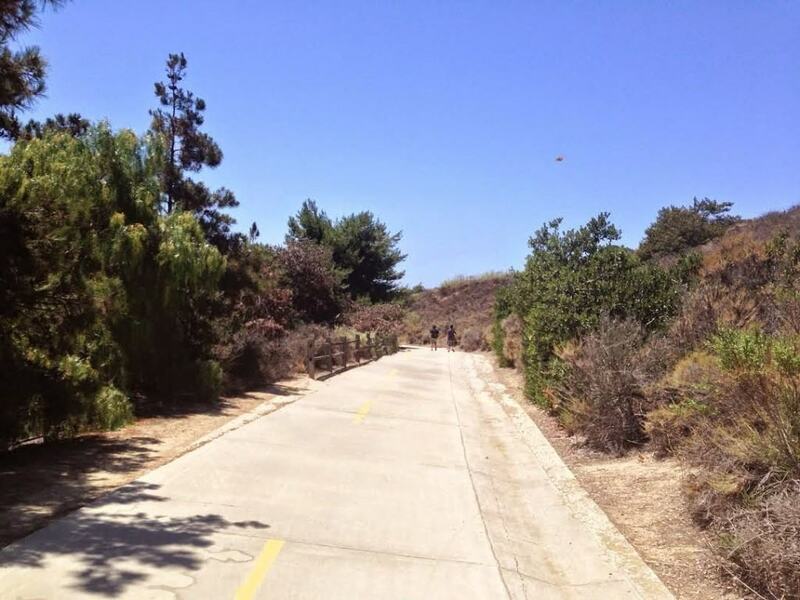 When to Go: Year-Round: The Salt Creek Path is a great trail to enjoy year-round. It’s completely paved, which makes it easy to enjoy on your two feet or even two wheels, if you want to cheat and enjoy a coastal beach bike ride.It you enjoy less crowds, The Go Hike It Team recommends hiking in the late fall and early spring months. If you want to escape the heat and cool off at the beach during the summer months, it’s also an enjoyable experience! Trail to Salt Creek Beach. The sign on the left features the “official” rules. 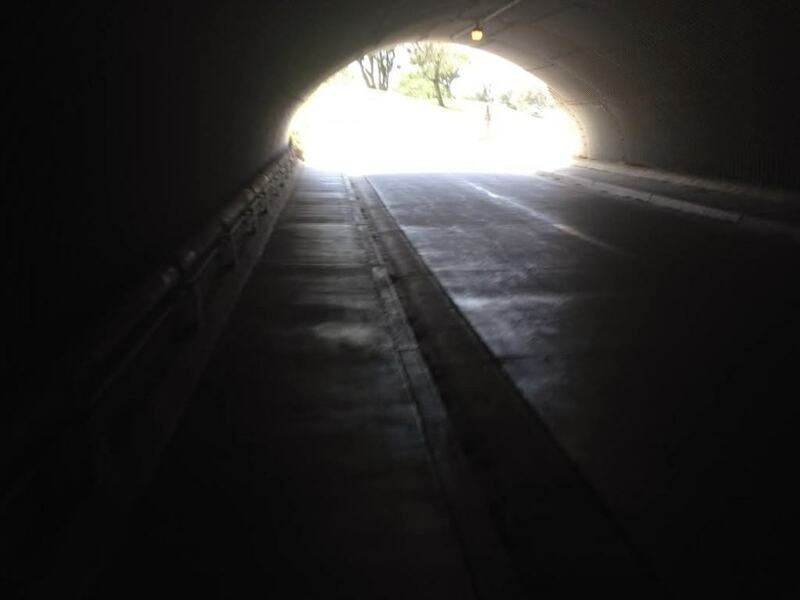 Walk underneath the tunnel to the beach (make a left on your way out). Coastal and golf course views. 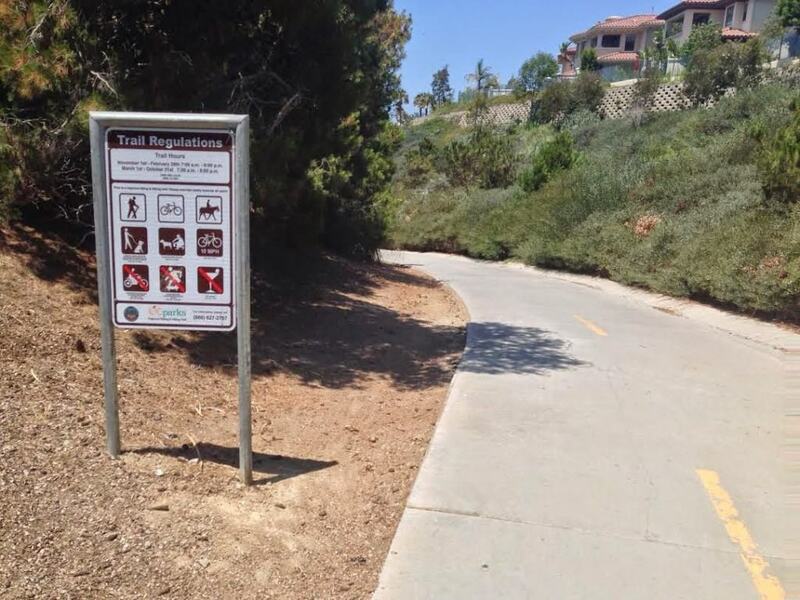 Dog Friendly: Yes, dogs are allowed on leashes on the trail, but not on the Salt Creek Beach.